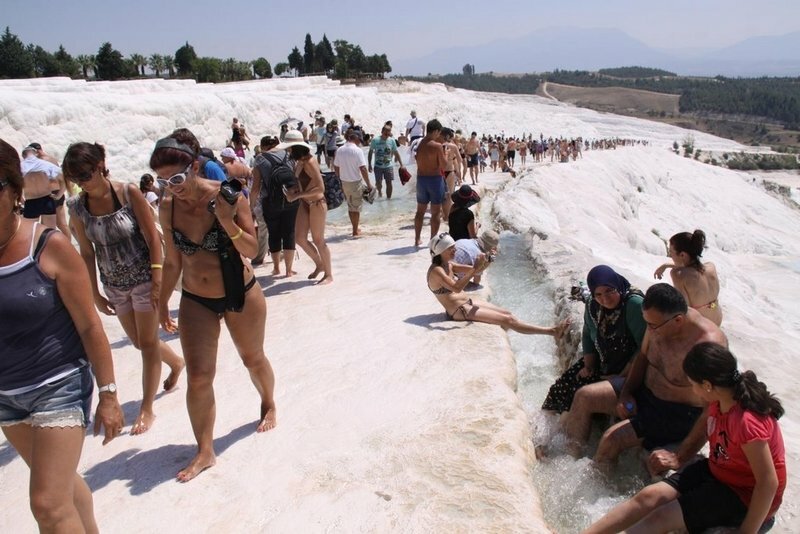 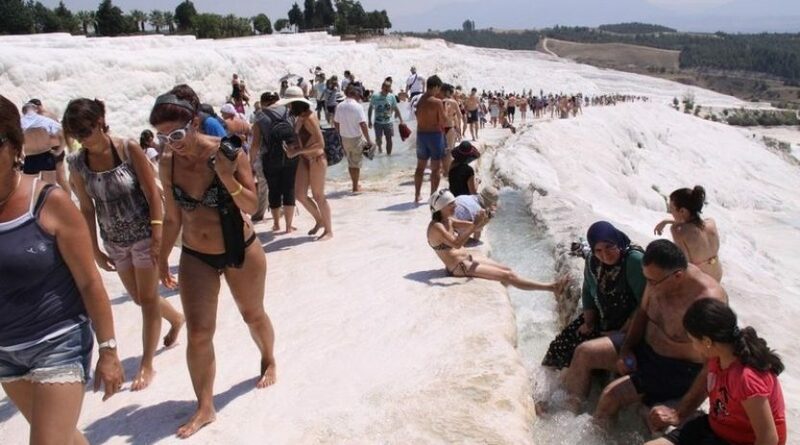 After completing your tour in Fethiye and would like to travel to Kusadasi or Selcuk for visiting Ephesus ancient city but before you go there you also would like to visit Pamukkale Calcium Terraces and Hierapolis Ancient City, we highly recommend you to join our Pamukkale Tour by Semi Bus From Fethiye to avoid confusing while you are changing local buses and you will save the time. 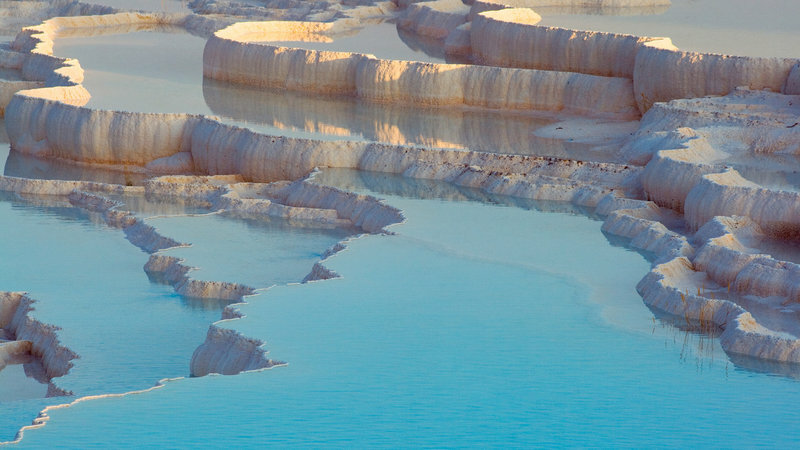 You will depart from Fethiye to Denizli by local bus that the ticket will be arranged by our company. 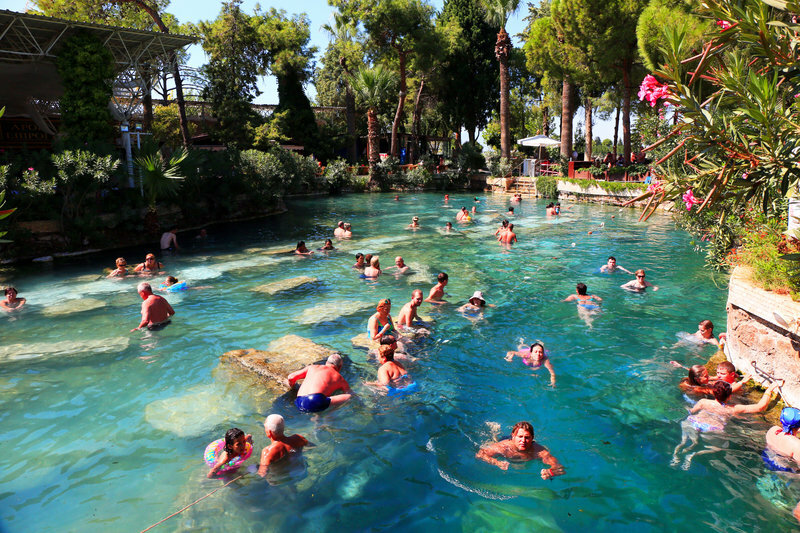 Once you arrive in Denizli, you will meet with our staff and forget the rest. 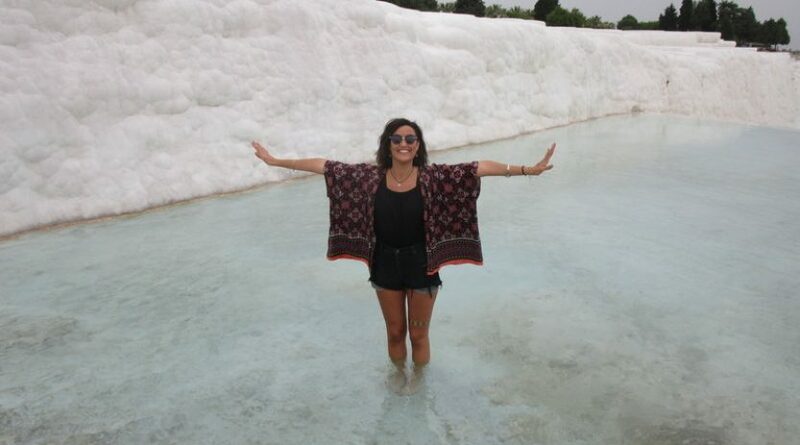 We will make your journey easy. 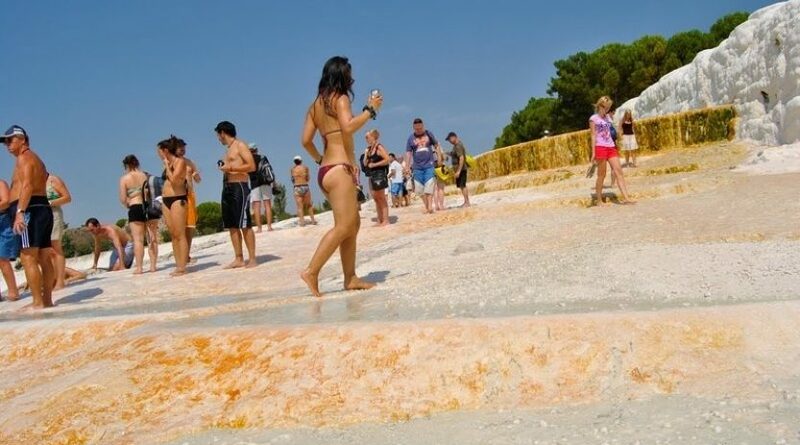 12.00 You will meet with other tour participants at the restaurant and you will have lunch at a local restaurant. 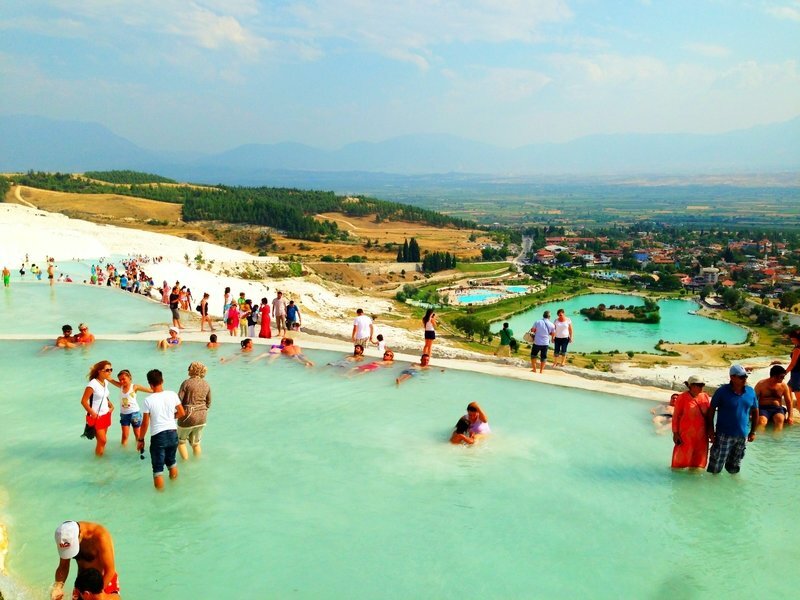 Then we start the guided Pamukkale Tour. 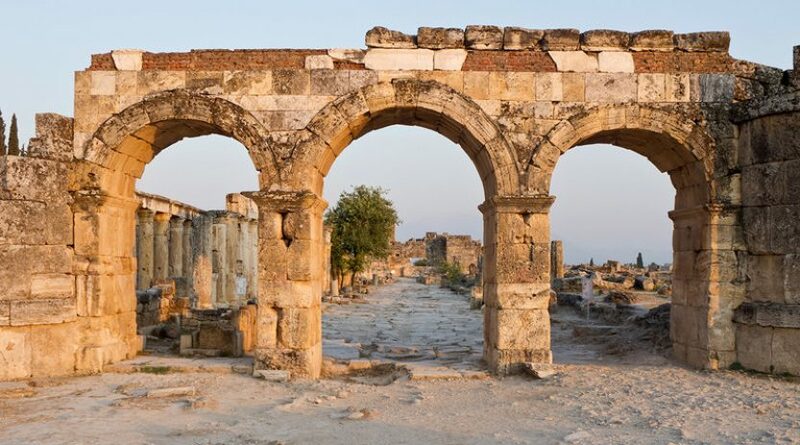 When we get into the Hierapolis Ancient City, we will walk between among the ancient road and we will see the historical gate and necropolis. At the end, we will reach the great ancient theater. 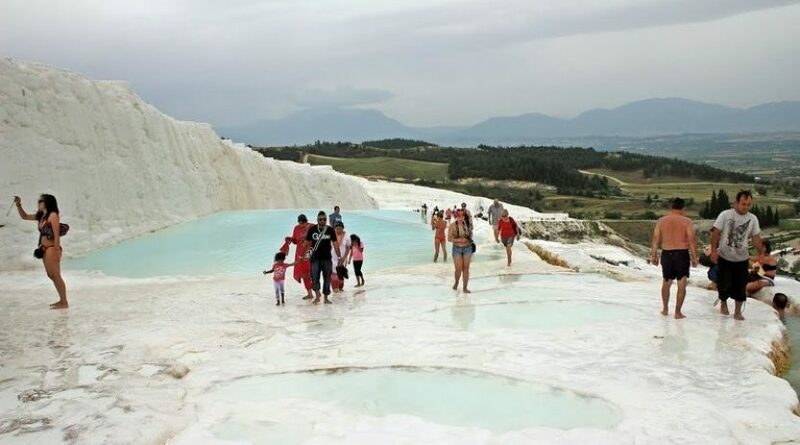 It is well-preserved theater and there is a great view of the spectacular white terraces of Pamukkale from there. 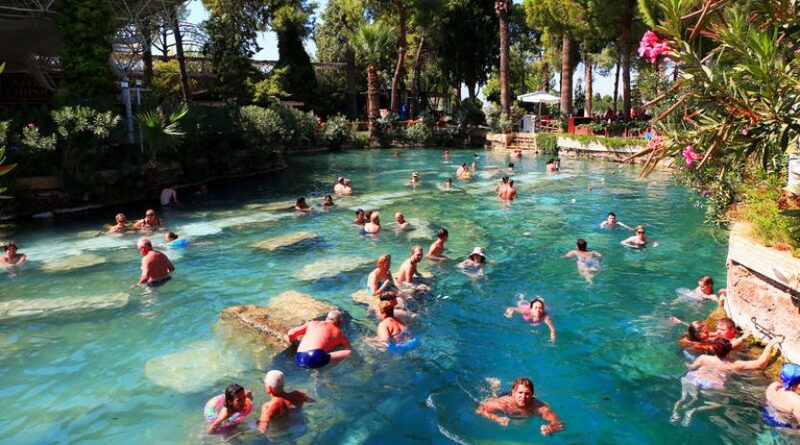 Hierapolis is a World Heritage Site and offers a Sacred thermal pool, in which you can swim amongst ancient artifacts. 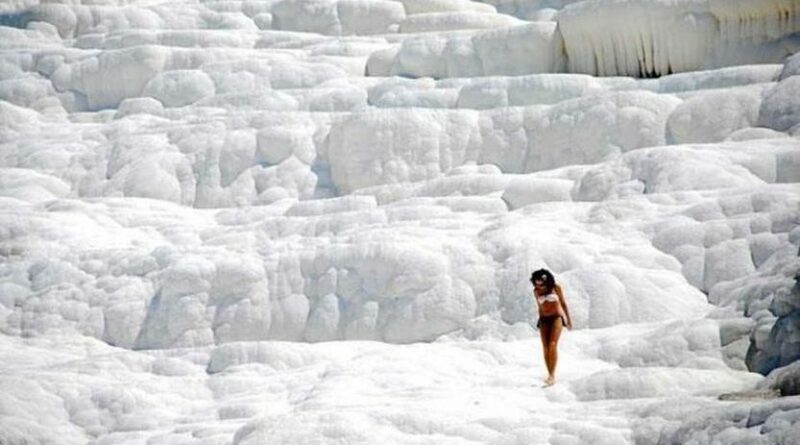 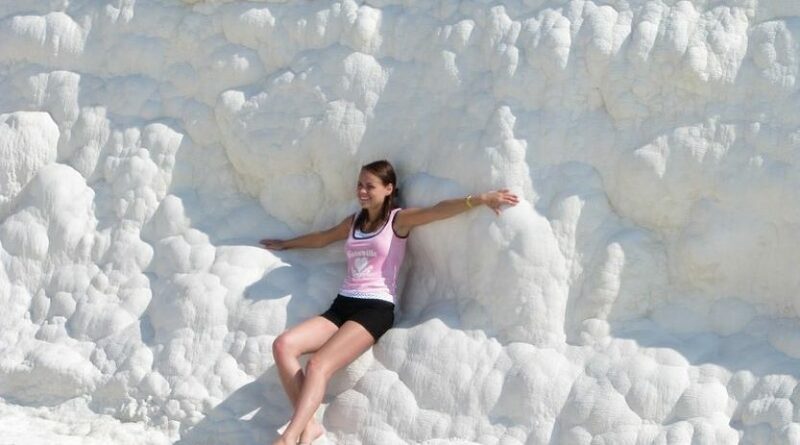 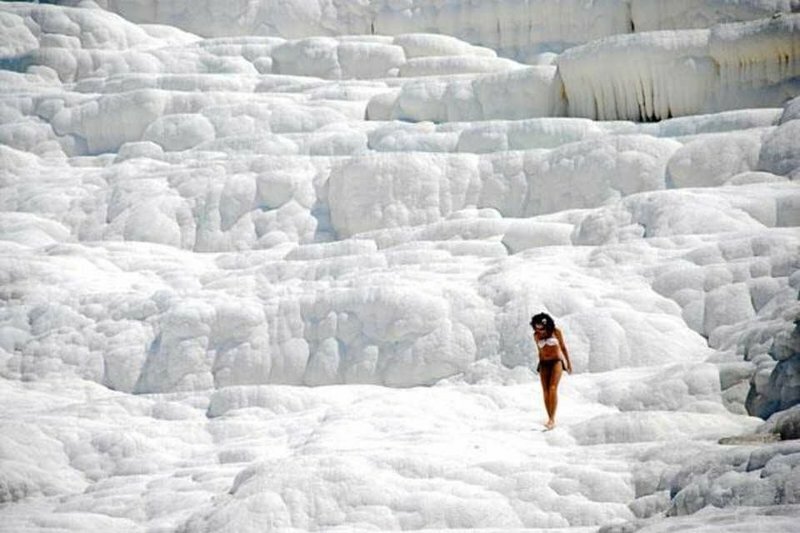 Afterward, we will enjoy walking on spectacular white terraces of Pamukkale, an unusual natural and historical formation, with the sparkling cotton castle like cascades, Pamukkale is one of the most important natural and historical highlights of Turkey and unique in the world. 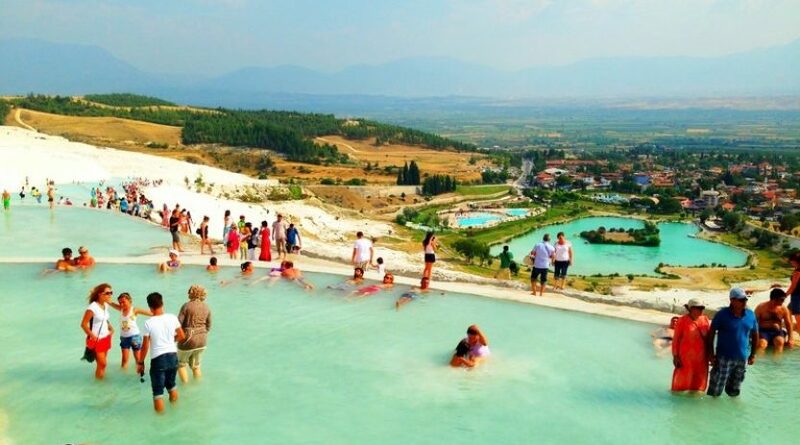 17.00 At the end of the tour we will depart from Pamukkale to Kusadasi / Selcuk. 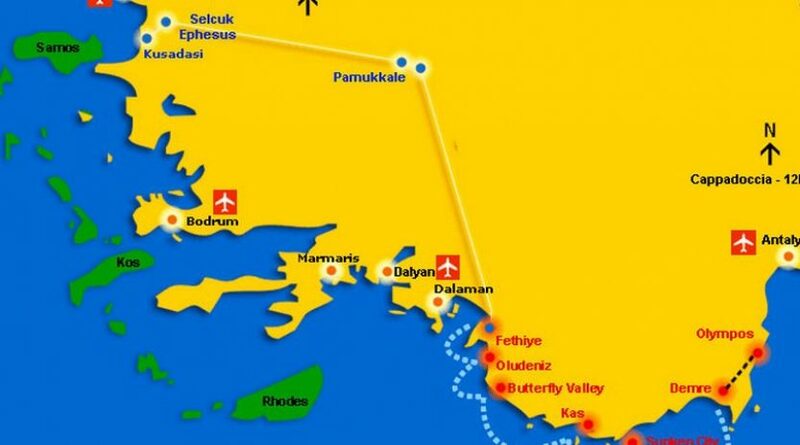 20.00/20:30 We will arrive in Selcuk / Kusadasi then you will be transferred to your hotel. 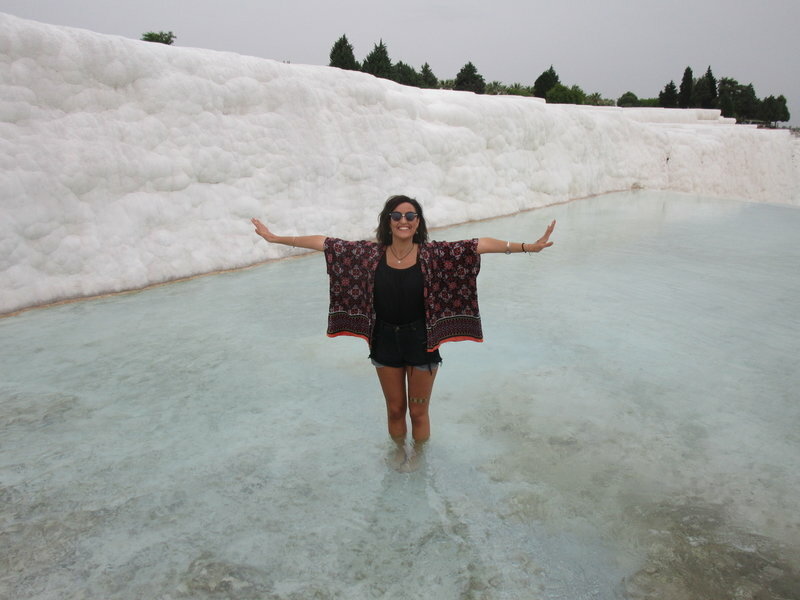 Pamukkale Tour by Semi Bus from Fethiye is not the Door to Door service but however, it is still the best and easiest way to go from Fethiye to Kusadasi or Selcuk via visiting Pamukkale. 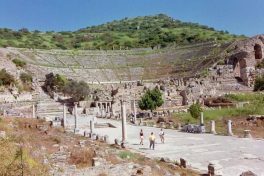 The first leg of the tour will be by local bus and rest of the tour will be by our tour bus. 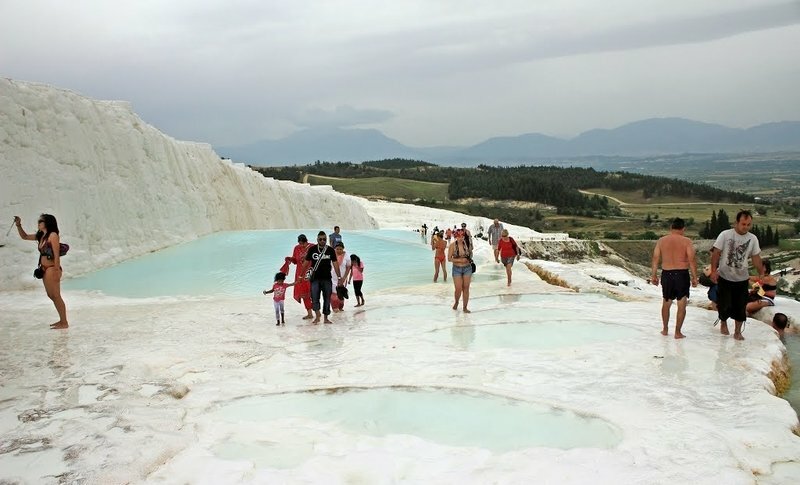 Pamukkale Tour by Semi Bus from Fethiye route was especially made for travelers who have had a hard time with the local connections as normally this day has 5 or over complicated bus changes and very hard to complete in the same day. We will save the hassle, your time & energy with our well organized day tour from Fethiye to Pamukkale.